A Travel Writer’s Top 5 Roller Coasters: It’s All About the Drop! Writing on Wednesday about TripAdvisor’s awards for the top U.S. theme parks of 2013 made me think about roller coasters — but then almost everything does! I’ve loved these silly things since I was around 5 or 6 years old. 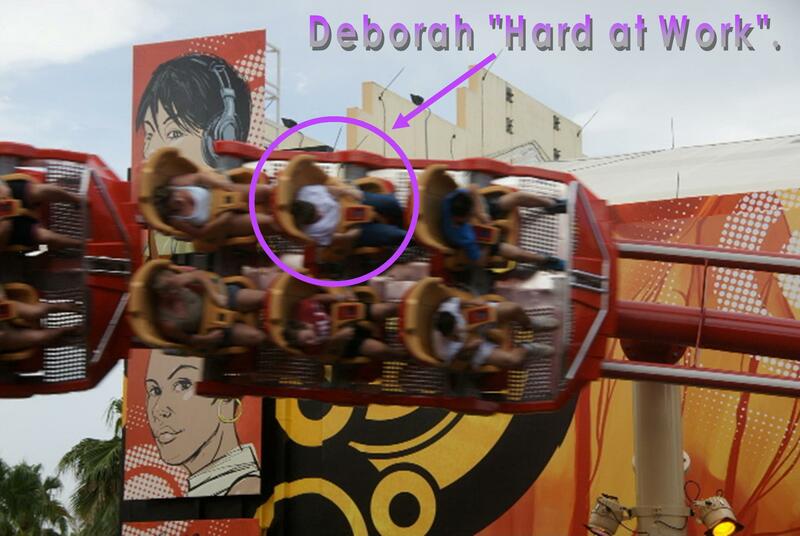 That’s when two of my aunts sneaked me onto several scary rides and coasters with them at a hometown festival, even though at the time I was WAY under the “you must be over this height to ride” signs. They told me it would be fun, I believed them, and they were right! Although I still remember my Mom’s look of dismay when my aunts confessed where they’d taken me. Ha! As I’ve gotten older, my love affair with coasters has just gotten stronger — and I’ve been lucky enough to get paid to write about many of them. I know the question of what makes a great experience is different for everyone, but for me it’s all about that first crazy, stomach-dropping plunge where I take a deep breath to scream and nothing but laughter comes out. After that, I love to have several more big drops and if there are also super-quick starts and some added surprises, that’s just icing on the cake. 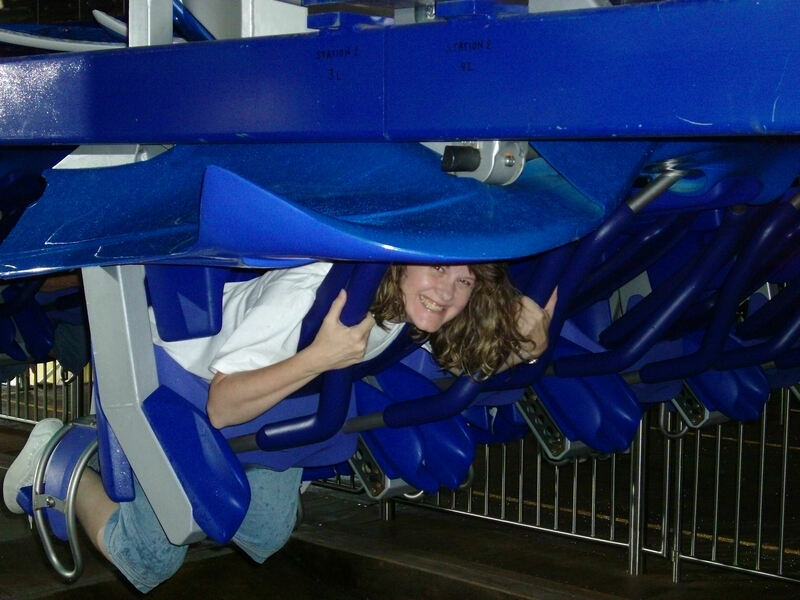 All of that said, my #1 most favorite, best-of-all-times roller coaster is Manta, the flying coaster at SeaWorld Orlando. 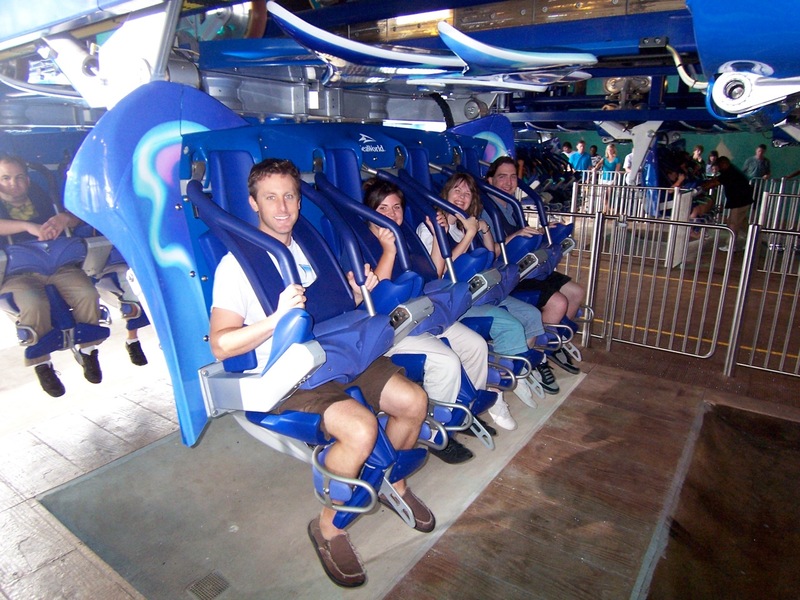 Guests start out sitting upright, but then overhead restraints come down and the seats tilt forward horizontally. This gives riders the feeling of flying under the track. I loved looking down at the waving guests below as we made the slow, initial ascent on my first ever ride on Manta during its introduction back in 2009. After the first drop, there’s an intense “pretzel loop,” several inversions, and even a “close call” right next to a waterfall. The smooth coaster is even rigged to appear to skim the surface of a lagoon in a water-spraying wing dip near the end. I wrote about this roller coaster for Orlando Attractions Magazine and what’s even more fun, my first ride was videotaped from several angles. Here’s a link to the full ride video edited together on the Attractions website — I’m on the right side all the way through! I’d love to hear recommendations for YOUR favorite roller coasters. What’s your criteria for a great one? I’m not a huge coaster fan (it took me years to overcome my coaster phobia) but I love Dueling Dragons at IOA. I know that it has been rethemed for Potter, not sure if the name was changed. I love it because it’s smooth and feels like flying. That ride’s now called Dragon Challenge, but it’s pretty much the same — and still lots of fun. 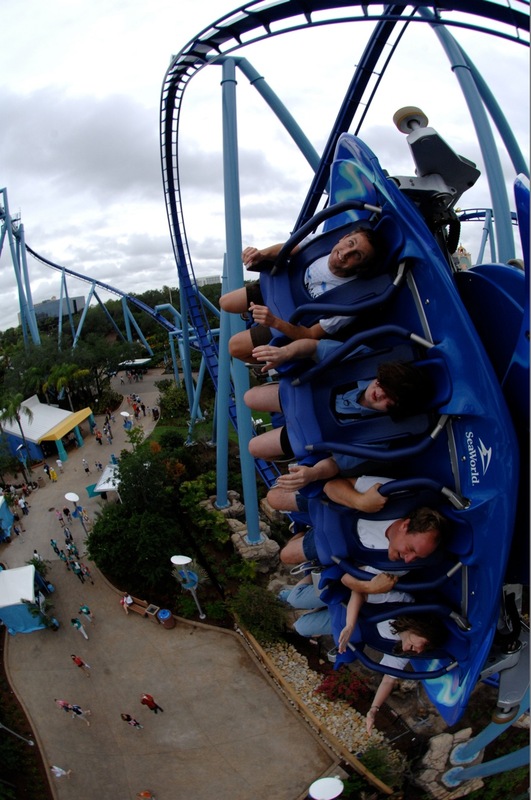 If you like smooth rides that make you feel like you’re flying, you really should check out Manta at SeaWorld Orlando. I admit to even riding part of it with my arms outstretched like Super Man! I keep seeing ads for Manta and can’t wait to ride it. I love SeaWorld and am overdue for a trip!